A detail from the Wikipedia map of United Nations members, discussed in the previous post, shows only one non-member in the region that we might crudely dub the “greater Middle East,” which is the focus of today’s post. 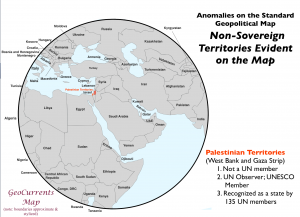 That non-member is the Palestinian territory, composed of the West Bank and the Gaza Strip, as can be seen the second map. 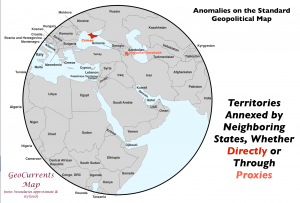 This area is deeply anomalous in regard to geopolitical standards, and would be worthy of an entire post. The two units of which it is composed are not just geographically but also politically separate, despite efforts to form a unity government. * They have some but by no means all of the attributes of sovereignty. 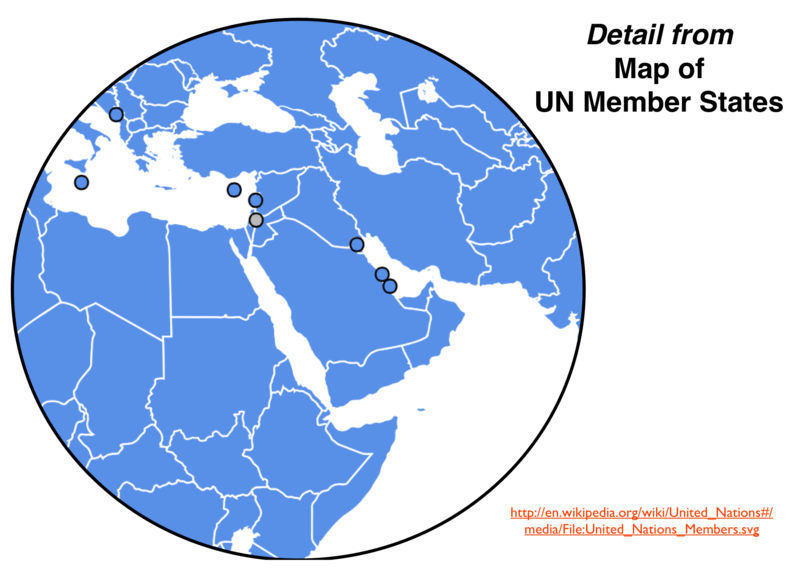 As the map notes, they also occupy an ambiguous position in the United Nations, as well as in the global system of mutual state-to-state recognition. 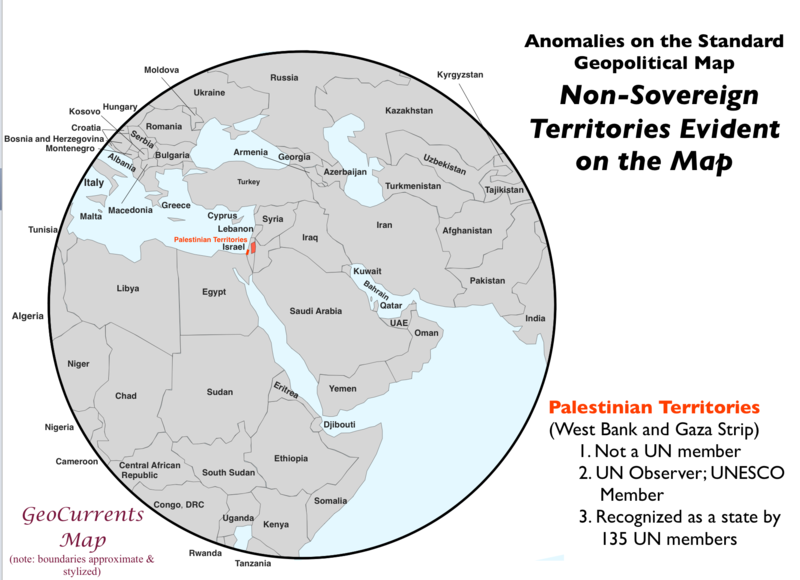 But the Palestinian territories are merely one of a great many geopolitical anomalies found in the region depicted on this map. Consider, for example, the situation of Kosovo. 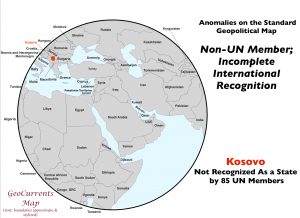 Although the U.N. map portrays Kosovo as part of Serbia, it is in actuality an independent country. 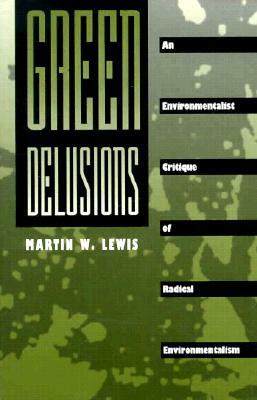 It is not, however, a members of the United Nations, and its recognition by other sovereign states is far from complete. 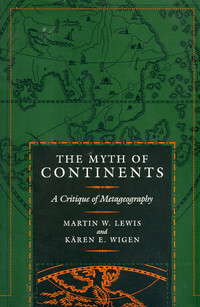 Three other states in the region are also characterized by incomplete international recognition, as the next map shows. 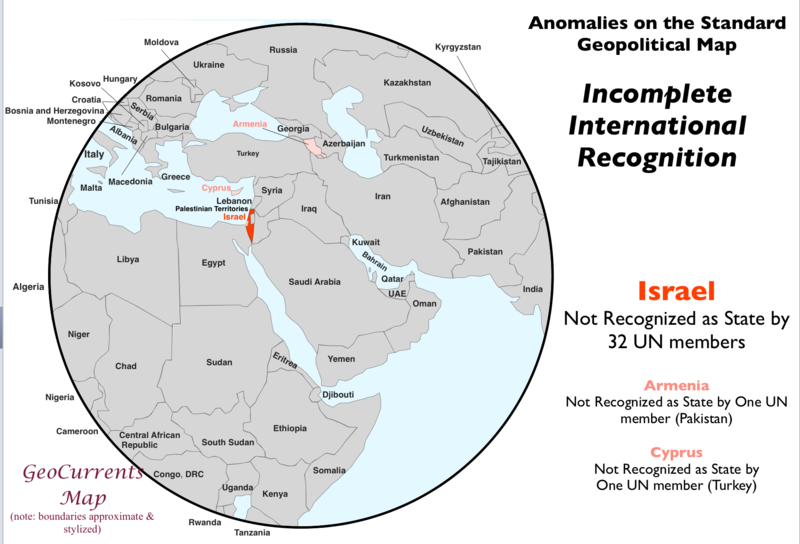 32 U.N. members do not recognize Israel, while Cyprus and Armenia are each denied by one member, Turkey in the former case and Pakistan in the latter. Curiously, Pakistan refuses to acknowledge Armenia in deference to Azerbaijan, which has lost much of its internationally recognized territory to Armenia, yet Azerbaijan itself continues to recognize the country. 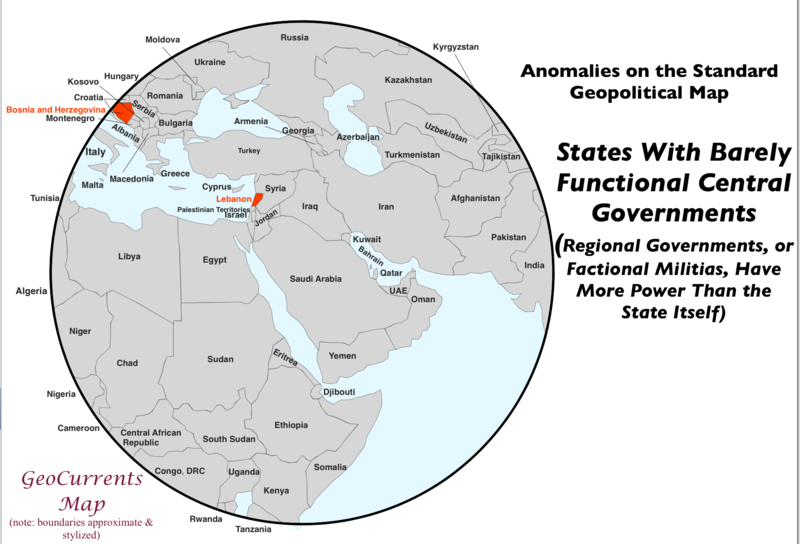 The next map, “States With Barely Functional Central Governments,” highlights recognized U.N member states in which regional governments or factional militias have more power than the state itself, a category that encompasses Lebanon and Bosnia & Herzegovina. In the former case, the militia of Hezbollah, a Lebanese Shia political party, is much stronger than the national armed forces. 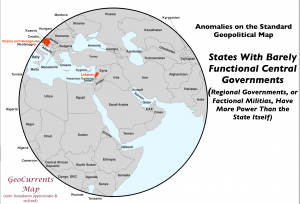 As Hezbollah militarily operates on its own, with support from Iran and without oversight by the Lebanese government, its presence in Lebanon contravenes a key defining feature of the state, as states are supposed to have a monopoly over the legitimate use of force and coercion. Lebanon has a peculiar system of “confessionalism,” one in which politics are structured around religious communities. Although this system once functioned relatively well, it has not in the long run proved conducive to national unity. Intriguingly, Lebanese confessionalism was enacted as a temporary measure more than 80 years ago, yet it remains full ensconced. Bosnia in many ways is even less of a coherent state than Lebanon. It is divided into three autonomous units, the “Serb Republic,” the Croat-Bosniak “Federation” (which is itself rather dysfunctional), and the self-governing unit of Brčko (which formally belongs to both the “republic” and the “federation”). Equally important, the highest political office in the country is arguably that of the “High Representative,” who is not even a citizen of the state, making Bosnia something of an international protectorate. As the Wikipedia notes, “The OHR’s [Office of the High Representative] prolonged interference in the politics of Bosnia and Herzegovina is also considered to be one of the causes of the low commitment of citizens towards the state.” The other reasons for the “low commitment of citizens towards the state,” however, are probably more significant, particularly that of the persisting ethnic animosity that marks Bosnia’s constituent communities. If given a free choice, most Bosnian Serbs would probably opt to join their territory with Serbia, just as most Bosnian Croats would likely want to join their lands with Croatia. Under such conditions, referring to Bosnia and Herzegovina as a sovereign state is a bit of a stretch, while calling it a “nation-state” is simply unreasonable. The next two maps, showing internationally unrecognized annexations, are a bit more straightforward. Russia has officially annexed Crimea, and will likely retain full control over that territory. 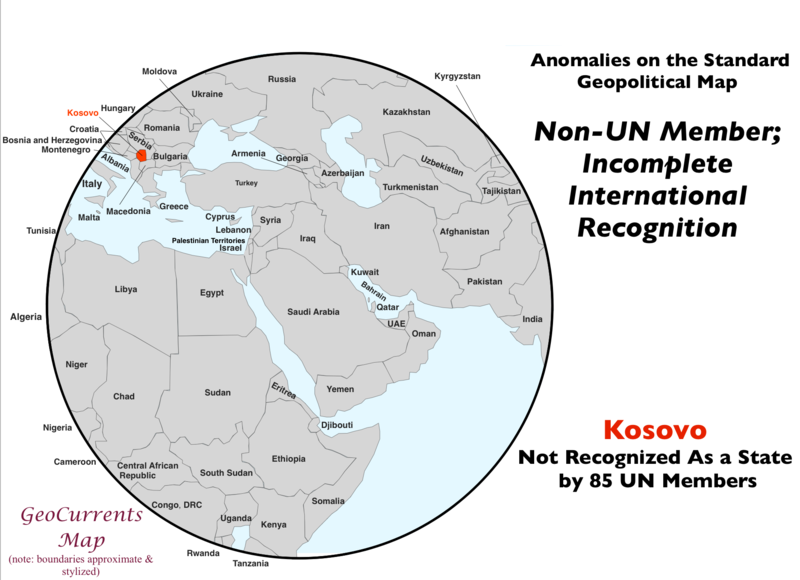 But as this action is widely viewed as illegitimate, most maps produced elsewhere in the world will almost certainly continue to show Crimea as Ukrainian territory. The situation in regard to Armenia, Azerbaijan, and Nagorno-Karabakh is somewhat more complicated. The Armenian-majority territory of Nagorno-Karabakh has officially declared itself to be an independent state, although it has not been recognized as such by any member of the U.N. 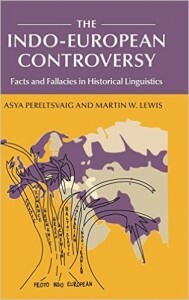 Most sources, however, regard it as having been unofficially annexed by Armenia. Most of the lands surrounding the official boundaries of Nagorno-Karabakh, moreover, are controlled by the Armenian military and are therefore effectively part of that country. 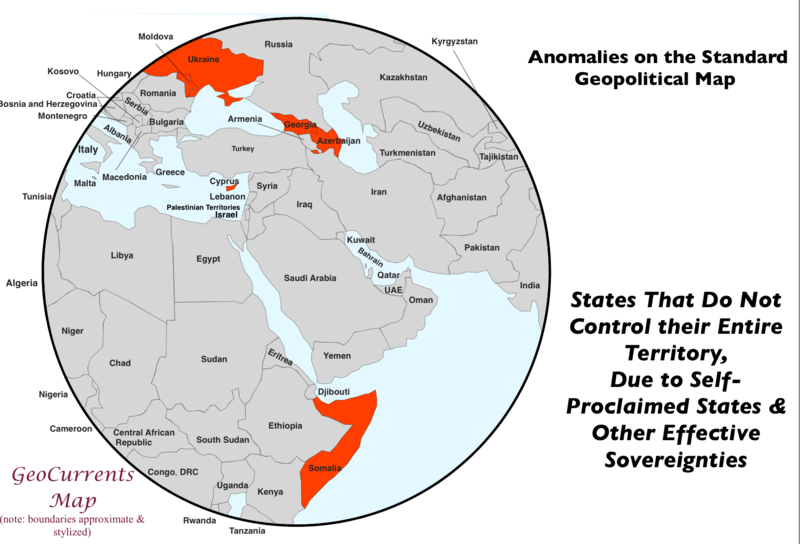 Armenia is able to maintain control over these territories, which formally belong to the larger and more economically powerful country of Azerbaijan, in large part due to Russian support. 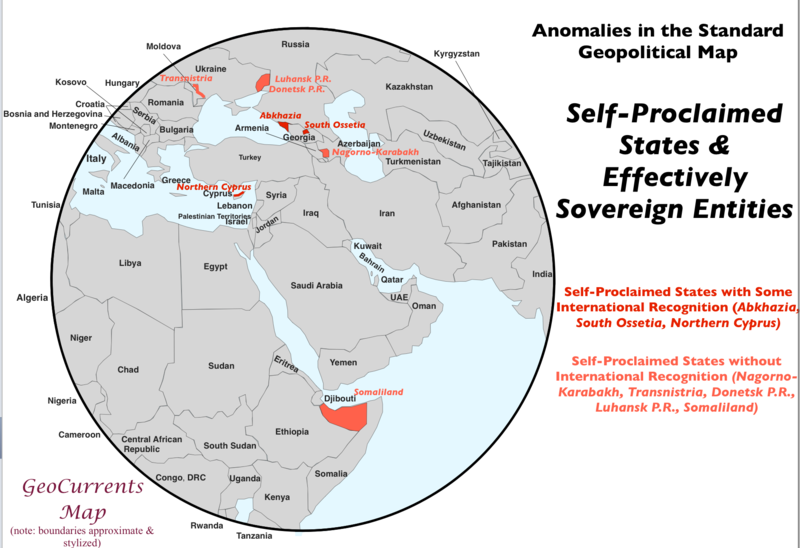 The next map portrays internationally recognized sovereign states that do not control their full territorial extent due to the emergence of self-proclaimed states (which are themselves depicted on the following maps). 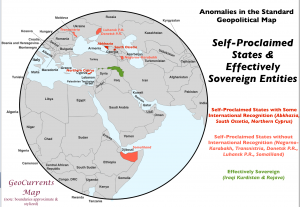 All of these proclaimed statelets exercise effective power over all or most of the territories that they claim, but they do not necessarily possess all of the elements that constitute genuine sovereignty. Most of them are widely viewed as “puppet states” of larger independent countries. 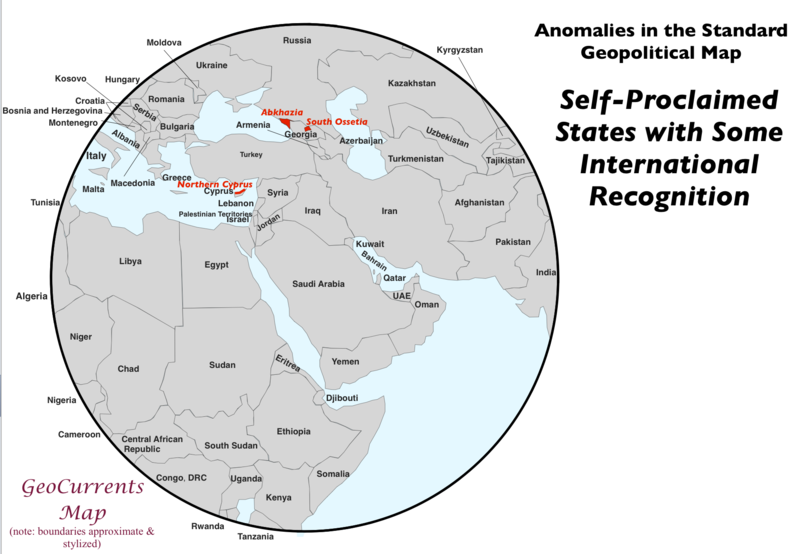 The map posted to the left shows the three self-proclaimed states in question that have received some international recognition. 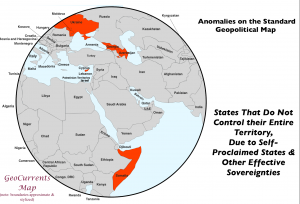 Northern Cyprus is recognized only by Turkey and is often regarded as Turkish client state. 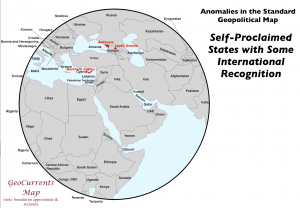 The other two, Abkhazia and South Ossetia, have gained higher international standings, being reckoned as independent by Russia, Venezuela, Nicaragua, and Nauru. (Vanuatu had briefly recognized Abkhazia and Tuvalu had briefly recognized both states, but they later withdrew their recognition). Both Abkhazia and South Ossetia are commonly regarded as Russian client states, with Nauru giving its nod of approval due to financial compensation from Russia, and Venezuela and Nicaragua doing so to signal their disapproval of the United States and other countries opposed to Russia’s actions. Abkhazia and South Ossetia declared their independence shortly after the breakup of the Soviet Union, rejecting membership in Georgia, which by international consensus should rightfully encompass them. Northern Cyprus declared its independence from Cyprus in 1983, a maneuver made possible by the Turkish invasion and partition of the island in 1974. 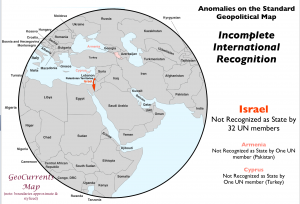 The next map adds to the previous one several self-proclaimed states that lack international recognition. 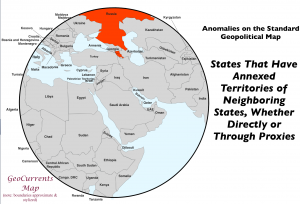 One, Nagorno-Karabakh, has been discussed earlier in this post. 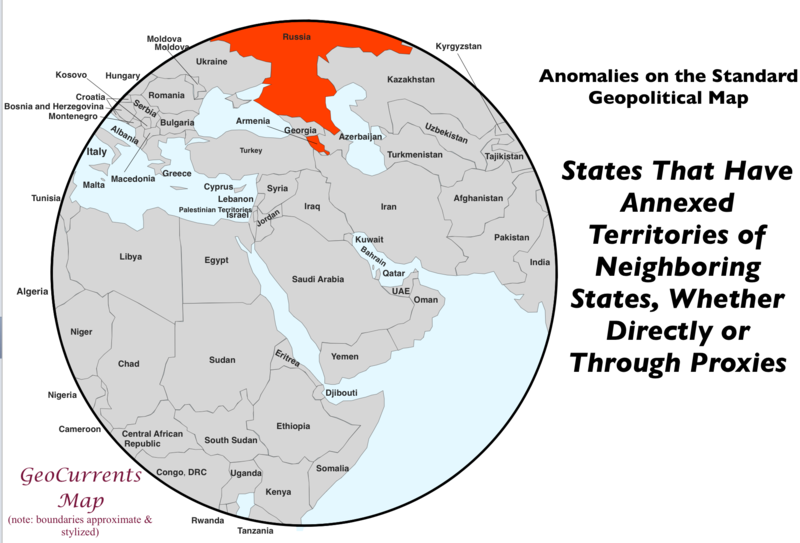 Three of the other entities shown on this map, Transnistria (officially, the Pridnestrovian Moldavian Republic), Luhansk People’s Republic, and Donetsk People’s Republic, are widely regarded as Russian puppet states. Transnistria was hived off from Moldova after the fall of the Soviet Union in 1991, and the latter two emerged out of far eastern Ukraine during the conflict of 2014. Together, Luhansk and Donetsk form the self-proclaimed federation of Novorossiya, or New Russia. They are recognized as sovereign states only by South Ossetia. Transnistria is recognized by South Ossetia as well as Abkhazia and Nagorno-Karabakh. Together, these four statelets comprise the inaptly named Community for Democracy and Rights of Nations, also called the Commonwealth of Unrecognized States. 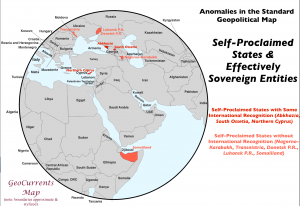 The other self-proclaimed state shown on this map, Somaliland, enjoys more genuine independence, not serving as a client state. Yet Somaliland has no formal international recognition and is instead regarded as part of the non-functional state of Somalia. Ethiopia, however, comes close to recognizing it, with its local consulate headed by a diplomat with ambassadorial ranking. In 2014, moreover, the British city of Sheffield recognized Somaliland’s independence, a purely symbolic maneuver that nonetheless generated marked enthusiasm in the self-proclaimed state. Finally, the last map includes as well a fully autonomous region that has not declared its own sovereignty but may well do so in the future: Iraqi Kurdistan. 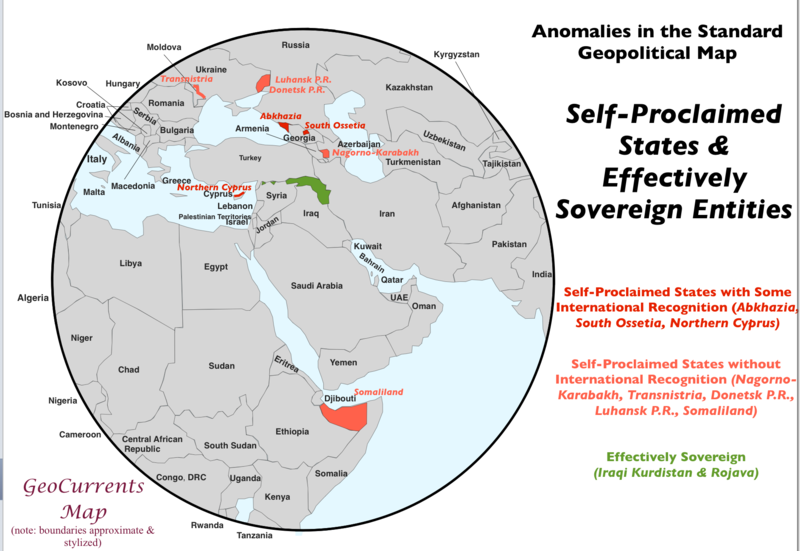 Of all of the “statelets” shown on this map, Iraqi Kurdistan probably has the most effective government; along with Somaliland, moreover, it has the best claims to possessing something approaching genuine independence. I have also appended to it the currently autonomous Kurdish areas of northern Syria, known locally as Rojava. The future situation of this area is of course highly uncertain. 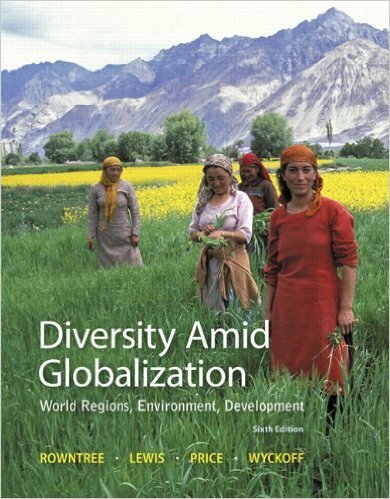 Its programme immediately aimed to be “very inclusive” and people from a range of different backgrounds became involved (including Kurds, Arabs, Assyrians, and Turkmen (from Muslim, Christian, and Yazidi religious groups). 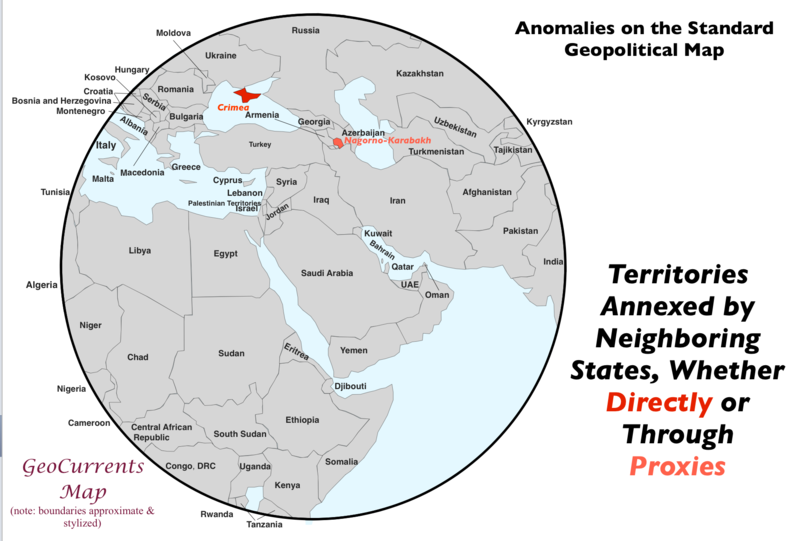 Thus far we have examined just a few of the anomalies found in the geopolitical map of this region. We will look at many more in tomorrow’s post.